I have inherited many traits from my mother. Unfortunately, the one thing I did not get was a green thumb. My mom can find a shriveled, dried out stick-of-a-plant, ease it back to life, and a few weeks later it will be in full bloom. On the other hand, almost every plant that I touch shrivels up and dies. No matter how much I water them, talk to them, sing to them…the result is usually the same – certain death. Warning: many houseplants were killed in the making of this blog. My parents have maintained an enormous garden since I was a small child, so being experts, they continue to help me with a small, pathetic garden of tomatoes, peppers, and herbs in my backyard. Even though battle Karen vs. The Weeds is continuously won by the weeds, it makes me happy to be able to pick a small amount of my own produce throughout the summer. This year, I did learn one easy trick. And if I can do it, anyone can. 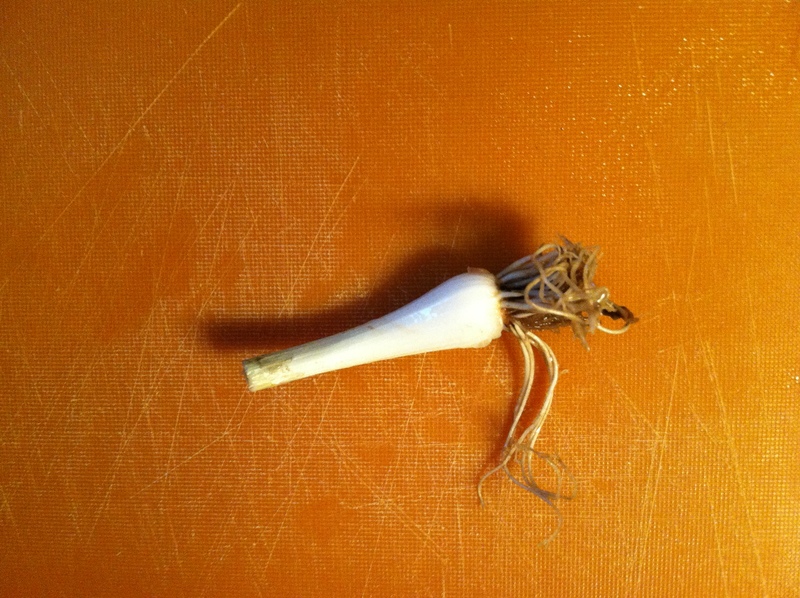 I discovered this while I was on a green onion kick. Green onions were being chopped raw and tossed on salads, they were grilled and served with steaks, they were blended into fresh dressings and sauces. 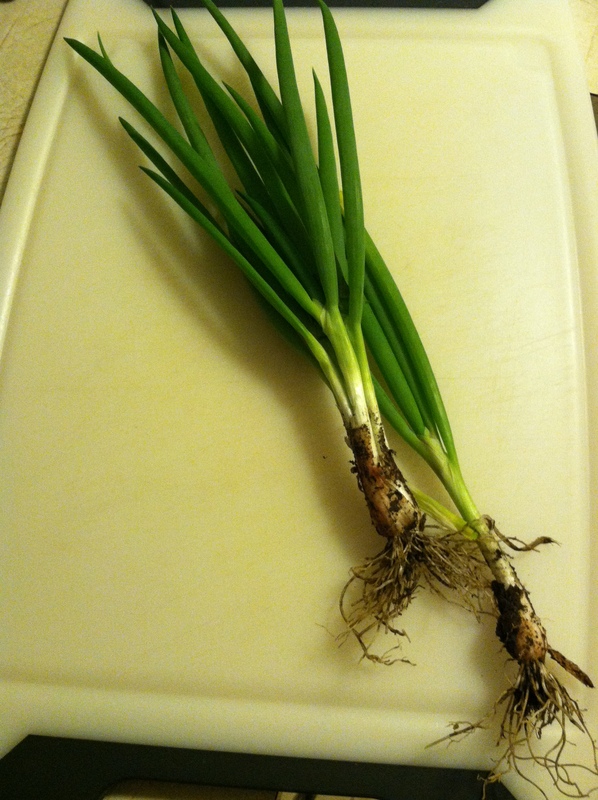 I heard that you could use the bottom of the onion and easily sprout new green leaves from the bulb of the scallion. So, I saved the bottom of an onion and put it on my kitchen windowsill in a shot glass full of water. While this doesn’t qualify me as a master gardener, I feel like it’s a step in the right direction. Next on my list? My good friend Kerrianne has promised to help me create an indoor herb garden, so I can have a supply of fresh herbs throughout the winter. Stay tuned for an update on this soon!